Presenting the KPS 63 metallised polypropylene, tin foil signal capacitors from Le Clanche (Switzerland). 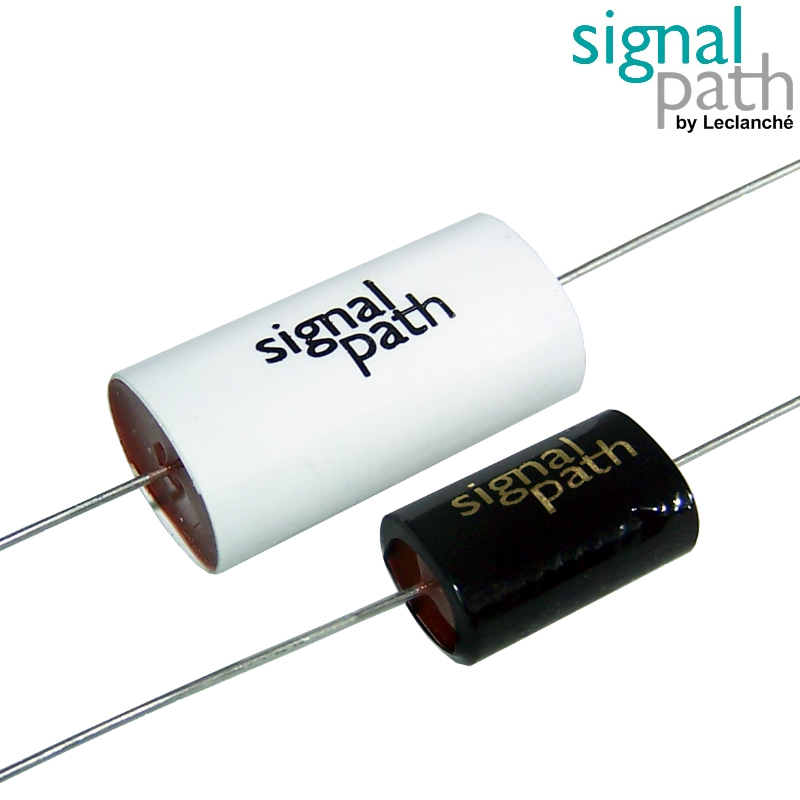 The SignalPath range combines special heat-flattened winding techniques with a polypropylene-tin foil construction to give an exceptional audio performance, specifically designed for signal use. The KPS 63 series offers incredible audio performance at an affordable price. Using a specially developed winding technique the wind has is a cleaner start at the beginning of the winding process. The films are better aligned, allowing for wrinkle-free winding from beginning to end. This results in improved, homogenous electrical characteristics of the capacitors. This is further improved by flattening the capacitors into an oval shape on a hot press. This gives better tan-d values that increase the life of the capacitor, and, of course, a lower physical profile, ideal for space-limited applications, and more resilient to applications where vibration is an issue.